Will YOU be attending the Quality Forum? The 2016 Quality Forum takes place February 24-26 at the Hyatt Regency Vancouver. Be sure to check out the IHI UBC storyboard, where we will be showcasing our projects! There are a limited number of spaces remaining for last minute registration (details here, register here). Registration (regular $325, students $150) includes access to all plenary speakers, break out sessions, and QUIPs. There are also other events (registration independent to the main conference), which provide more affordable access to quality improvement. These include Health Talks ($15) and two Field Trips ($20 each). This upcoming workshop will provide the resources to challenge and enhance their leadership skills. IHI UBC and the BC Patient Safety Quality Council (BCPSQC) want to empower students across all disciplines to become 'Change Agents'. This full day workshop will include leadership building workshops, conflict resolution strategies, and incorporate collaborative team work. Have you ever thought about End-of-Life care? Do not be deterred if you are not familiar with this topic! We have a panel of experts that will guide us through an introduction to End-of-Life care, describe options available, discuss how professionals can support both families and patients, and of course what we can do to improve these experiences for both patients and providers! March's panel event is open to all and free of charge. Let your friends know you will be attending by clicking "Going" on our Facebook Event! Are you interested in the opportunity to improve the current healthcare system? IHI UBC is offering quality improvement projects in partnership with Providence Health to allow students to gain hands-on experience in improving patient outcomes, system performance, and prevention of medical errors and complications. We are looking for a student who's interested in a 3 month quality improvement evaluation project in a mental health setting with Providence Health Care. Please apply to projects@ihiubc.com with your CV. Past experience in project evaluation needed and must be comfortable working in acute mental health settings. Want to know more about what IHI stands for? Read about IHI! Check out the 7 top storyboards presented at the 2015 National IHI Forum this December. IHI UBC's own Melissa Wan (in collaboration with Kan Cheung, Andrea Jones, and Jenna Smith-Forrester) was named runner up for her project titled 'Creating a quality improvement practicum'. Learn about IHI! Register for an ihi.org account and gain access to 16 online quality improvement courses here. Check out the IHI Open School curriculum course "Leadership and Organizing to Improve Population Health". IHI in action! 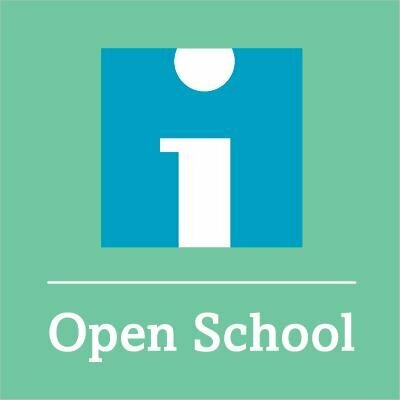 Watch IHI Open School's Join the Movement video for a visual representation of IHI's mission.